Because Scotland is part of the United Kingdom, it does not issue its own passports or identity cards. Those who wish to become Scottish citizens can only become British citizens. Applications for British citizenship must be made to the U.K. Border Agency. There are various ways to apply, and the length of time, cost and amount of paperwork required will depend on your circumstances and current country of residence. The process can be complicated and lengthy, with applicants normally required to reside in the U.K. for several years and understand English so they can pass a citizenship test. Confirm that you meet all criteria for British citizenship by visiting the U.K. Border Agency website for eligibility and exact category of application. You will need to be of good character and sound mind. Applicants older than 18 who have resided in the U.K. for the last five years (three years if married to, or a civil partner of a British citizen) may be able to apply for naturalization as a British citizen. Read the relevant application guide that is available online from the U.K. Border Agency and print and complete the application form in full. If applying for naturalization, you must fill out form "AN" and provide proof of identity. Acceptable forms of identity include a passport, nationality identity card, Home Office travel document, birth certificate, photo driving license or bank, building society or credit card statements issued in the last six months. Ensure you understand English to a reasonable standard. Book your "Life in the U.K." test at the examination center nearest you. The exam consists of 24 multiple-choice questions related to British history, life and culture. If you fail, you will need to pay the fee and retake the test. If your English is not of a high standard, you can take English for Speakers of Other Languages (ESOL) and citizenship classes instead of the test. Gather all necessary documents and official papers to support your application, along with the relevant -- and nonrefundable -- application fee. As of January 2011, this fee is $1,250 U.S. dollars. A husband and wife who apply jointly pay a fee of $1,615. Apply through the Nationality Checking Service (NCS) if you reside in the U.K. and wish to take advantage of this service provided by some local authorities. NCS staff will check, copy and return your documents to you, ensure your application is valid and then forward the paperwork to the U.K. Border Agency. Launched in 2005, only 2 percent of applications made via NCS in 2010 were rejected, compared with a refusal rate of 10 percent for other methods, including individual applications and applications made through official agents or representatives. Check for the letter confirming your application has been received. This correspondence should arrive within a month. If your application is successful, you must attend a citizenship ceremony and give an oath of allegiance and pledge. Andrews, James. "How to Get Scottish Citizenship." 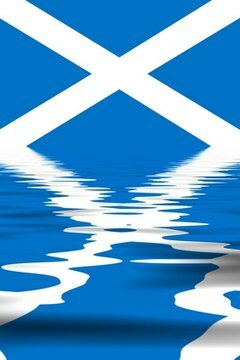 , https://legalbeagle.com/7832707-scottish-citizenship.html. Accessed 25 April 2019.